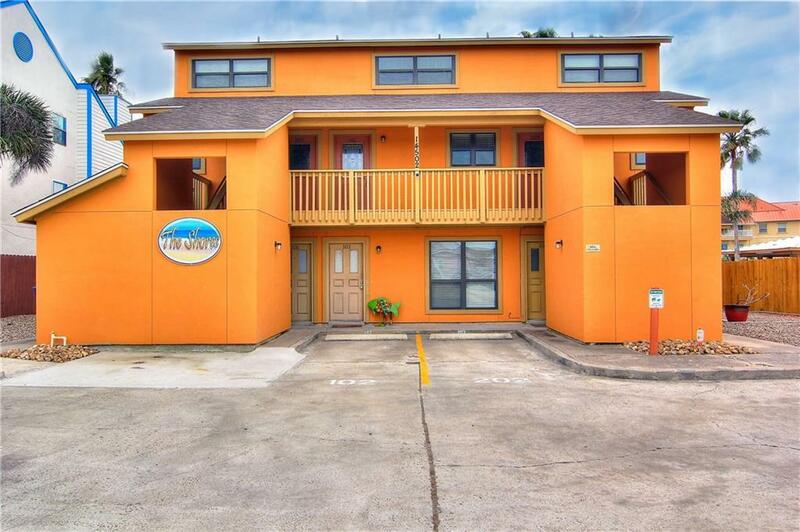 "The Shores" is a (6) unit waterfront condominium building one block from Schlitterbahn, close to CVS, restaurants, shops, the beach, and just minutes away from Flour Bluff and mainland Corpus. 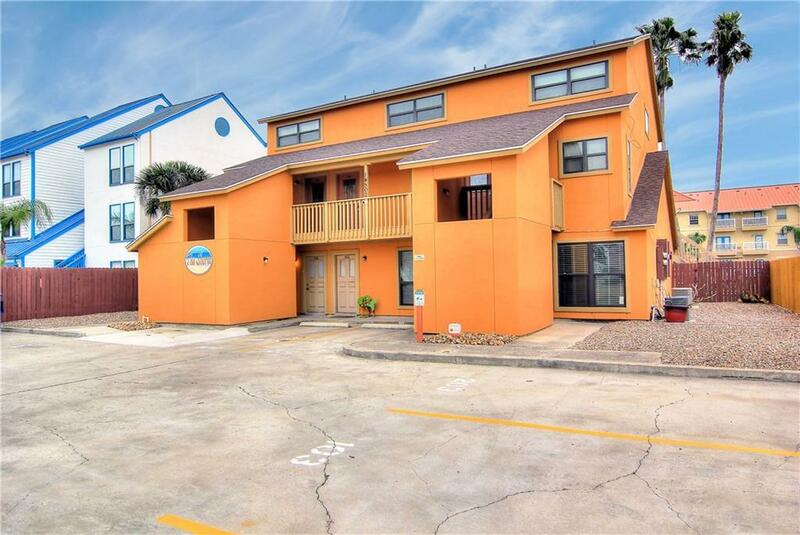 These units can be rented long term, short term or both ! 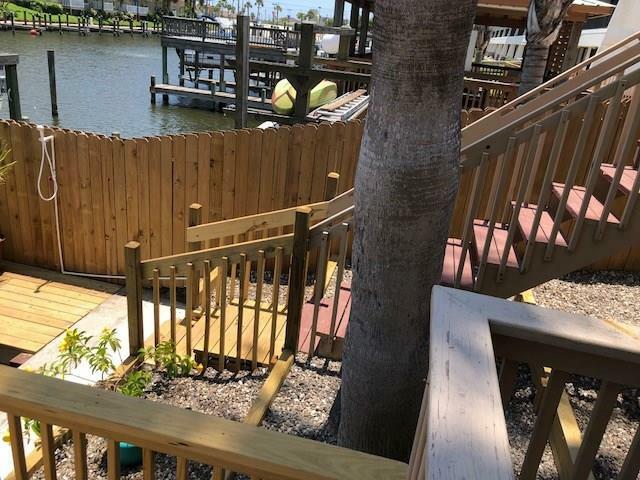 There are (3) 2 bedroom / 1 bath units on the ground floor, and (3) two story - 2 bedroom / 2.5 bath units on the second floor. 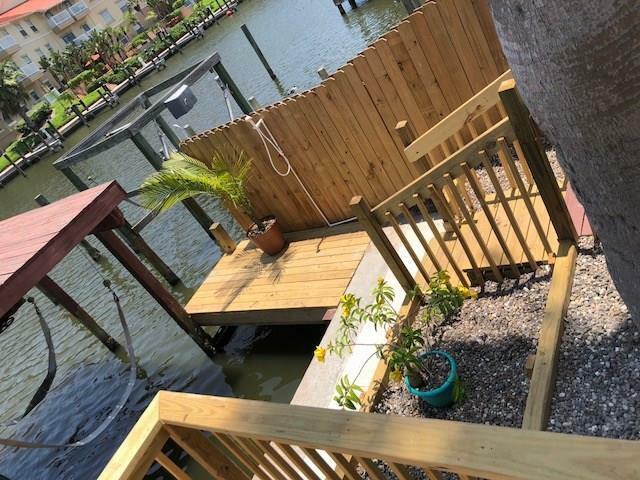 Several of the units are furnished, some with their own washer / dryers....All units have refrigerators and the typical kitchen appliances; Also a laundry room (operated by third party company) on the ground floor....Some updating /re modeling has taken place on the exterior / interior since Harvey..new roof...considerable rebuilding of back deck(s) and dock area... boat slips for residents... Beautiful water view across and both ways down channel...east facing out the back for afternoon shade ! Contact listing broker or your favorite realtor to schedule a showing today !